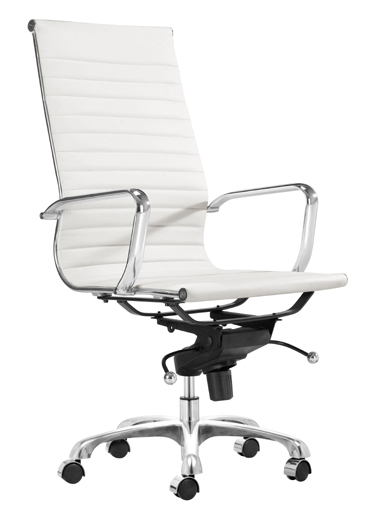 This stylish contemporary office chair has a smart sling-seat design in sophisticated color and high-tech chrome. 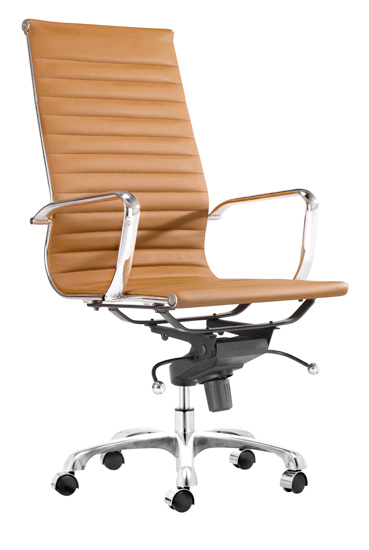 The Management office chair features a washable PU leather seat & back, a chromed steel frame and height and tilt lock adjustments. The Management High Back Chair comes in a variety of colors and has angle-reclining back get the job done in style. 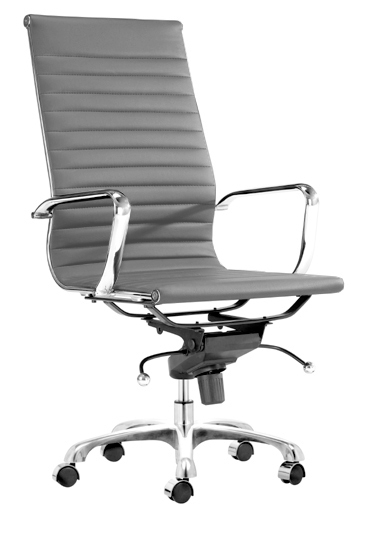 -- Please Choose an Option --	23.75"W x 21"D x 45"-48": Seat H: 18"-21"